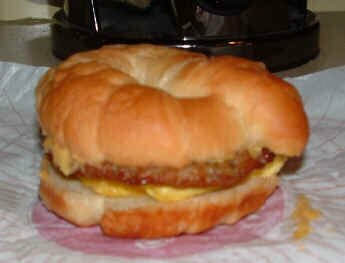 Yum, another fatty breakfast. 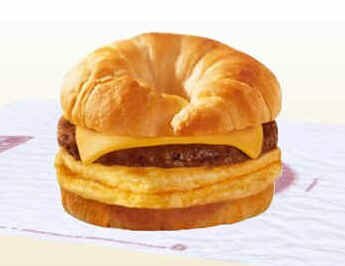 This one looks even tastier than the McDonald's variant. The egg has almost disappeared and the croissant looks plain weird. No, we'll skip it. 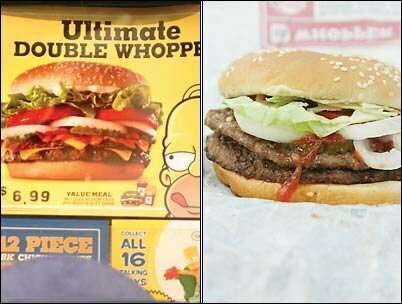 The 'Ultimate Double Whopper' looks huge in the ad. In reality, it's at least an inch less high. Was the lettuce too expensive? This video of pundo3000.com pretty much says it all.